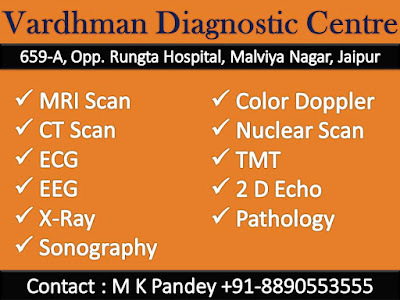 Vardhman Diagnostic Centre Jaipur’s top Diagnostic centre has core focus on quality and reliable diagnostic of the samples that we receive. Started more then two decade ago Vardhman labs has gained the faith of patients and doctors by its reliable team and latest machines that provide foolproof and dependable report of tests. We have a qualified team of Pathologists, Radiologists, Microbiologists , Biochemists and specialists with doctorate degrees. Vardhman Labs aims to achieve 100% foolproof and reliable diagnostic testing, information and services. This is gaining momentum and we are striving to achieve this by constantly updating our staff and labs. At Vardhman Diagnostic Centre in Malviya Nagar, Jaipur, the various modes of payment accepted are Cash, Master Card, Visa Card, Debit Cards, Cheques, American Express Card, Credit Card. You can reach them at Opposite Rungta Hospital, Cailgiri Road, Malviya Nagar Jaipur -302017. The contact number of this diagnostic centre is +(91)-141-4112290-91 and mobile no is +91-8890553555. 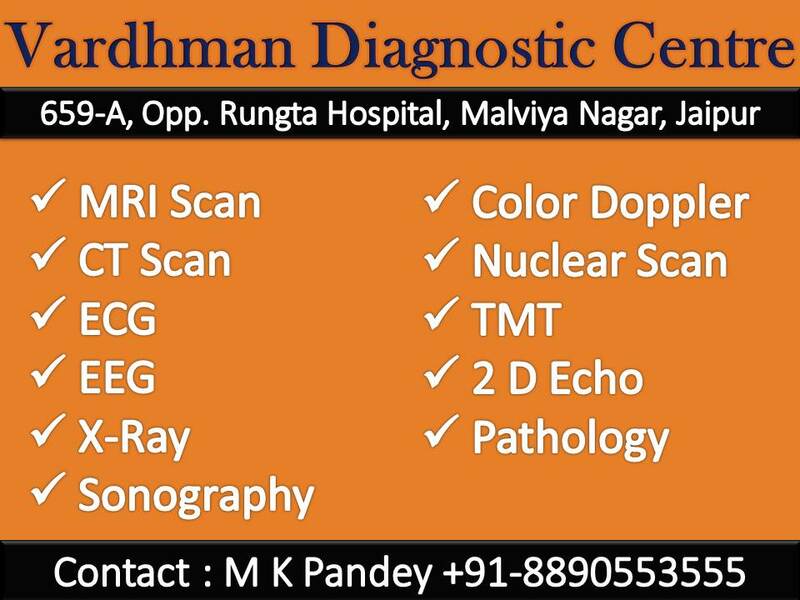 "One stop destination for diagnostic services"
At Vardhman we would be glad to provide you services. We look forward for your Suggestion and feedback. Contact us today for detailed information on our services.